Raj will join Matt Marcus, Manager of Marketing Research with BMO Harris Bank, to talk about MR automation in a session called Automating the MR Process to Achieve Greater Results. Raj and Matt will share how the bank has been able to transform it’s marketing process through the use of Methodify. Prior to automating its research, BMO Harris Bank was launching creative without incorporating customer feedback – and that creative was often missing the mark. Now, the bank is testing its creative and receiving consumer data within 48 hours, thanks to a tool that also automates their customer segmentation, and provides confidence in their messaging. Methodify is also a sponsor of this year’s TMRE in Focus event. 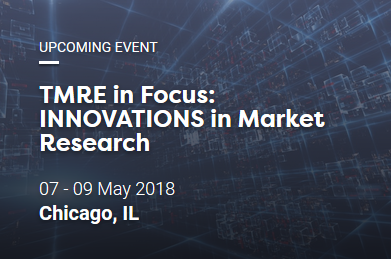 For more information about the conference, and to register, visit the TMRE in Focus website.